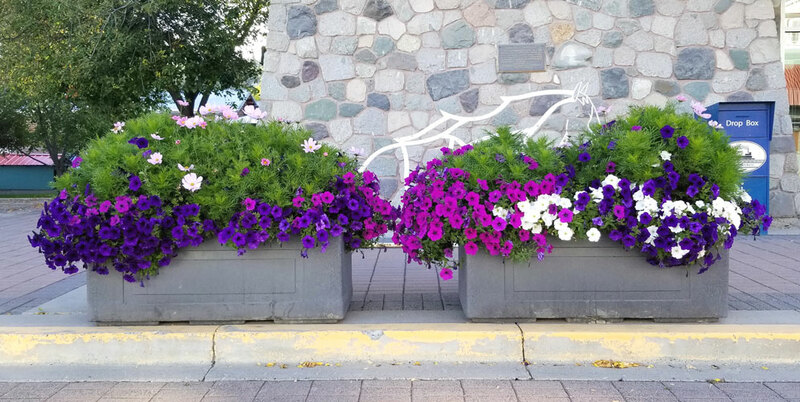 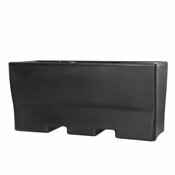 Sybertech would like to introduce our Millennium series self-watering reservoir planters that will give you more time to stop and smell the roses, instead of spending the time watering them daily. 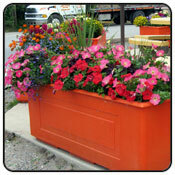 Indoor or out you will be able to enjoy the wonderful colors of flowers. 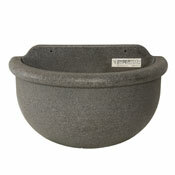 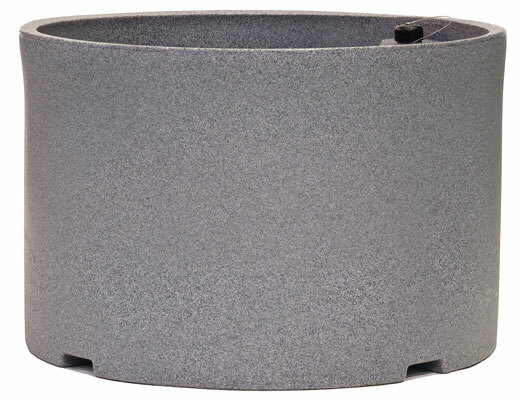 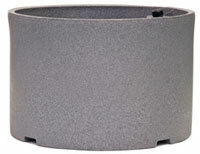 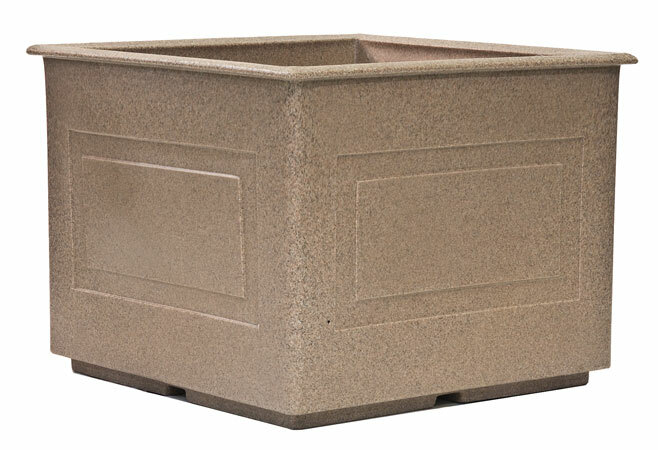 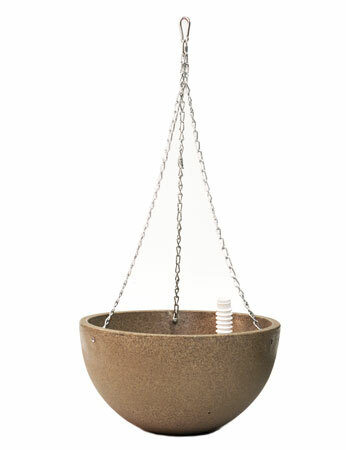 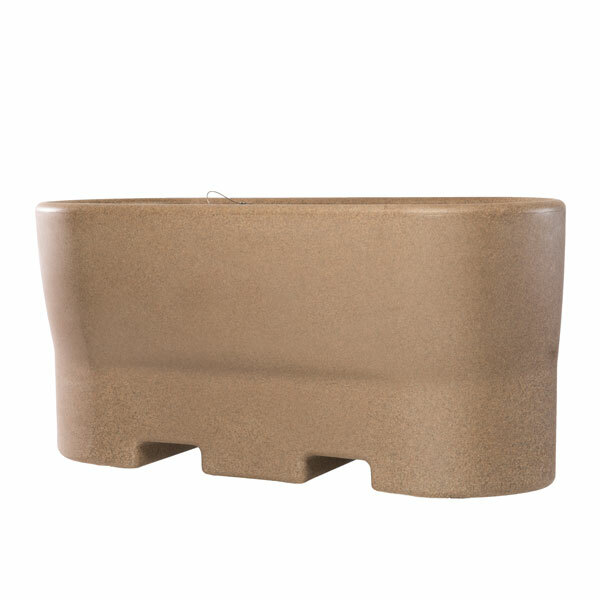 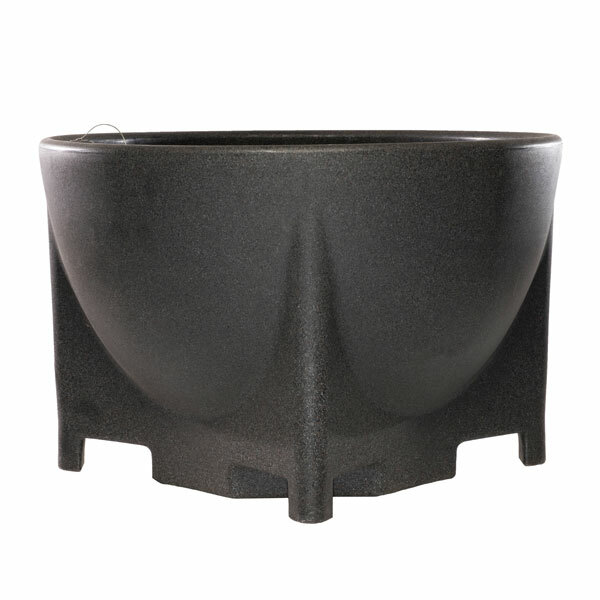 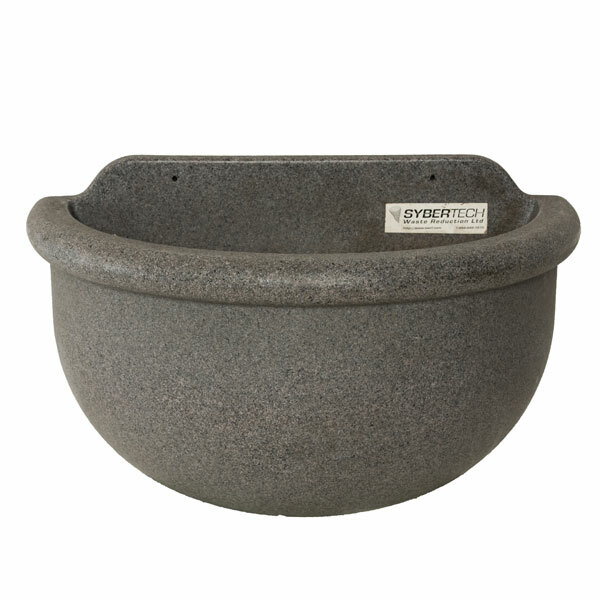 Self-watering reservoir planters come in both hanging and floor mount planter styles, and come in a wide variety of sizes and colors including stone finish colors. 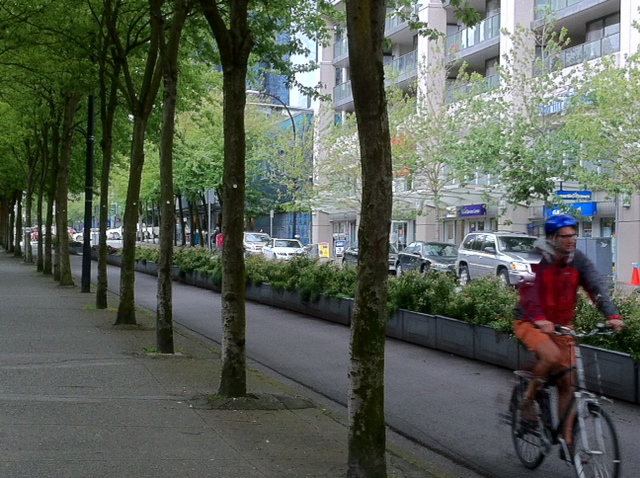 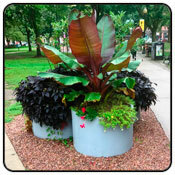 Plants flourish best in an environment where they are never under stress. 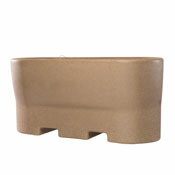 The solution is our self-watering reservoir planters. 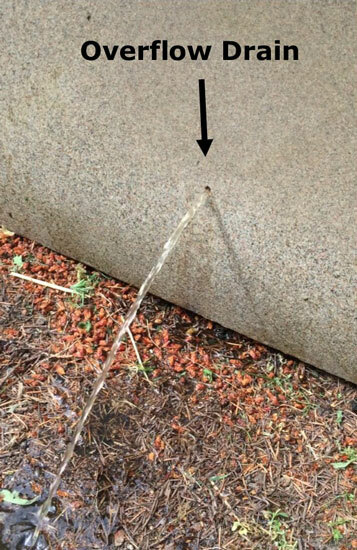 Never too much or too little moisture. 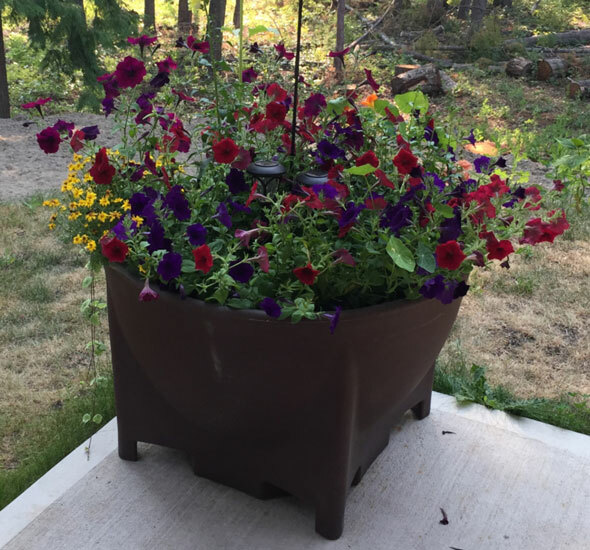 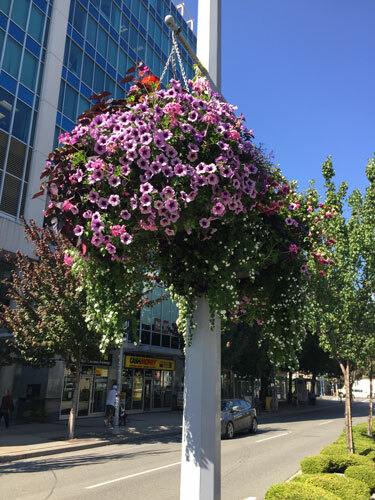 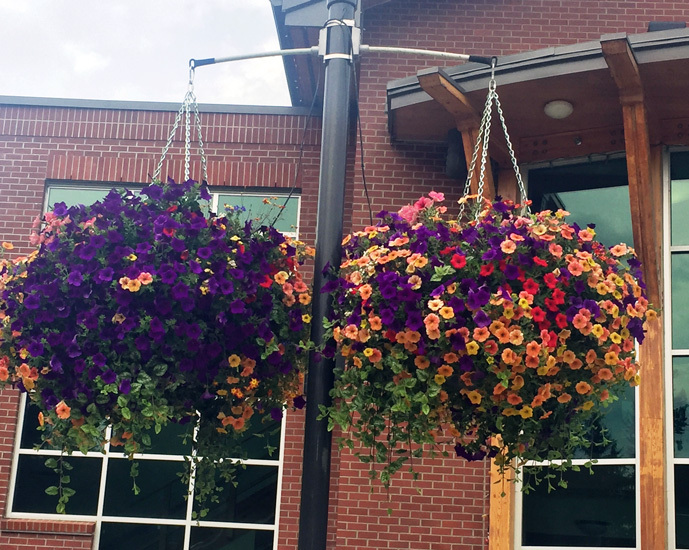 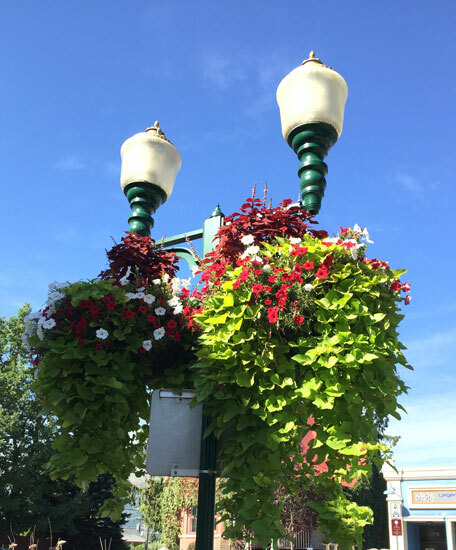 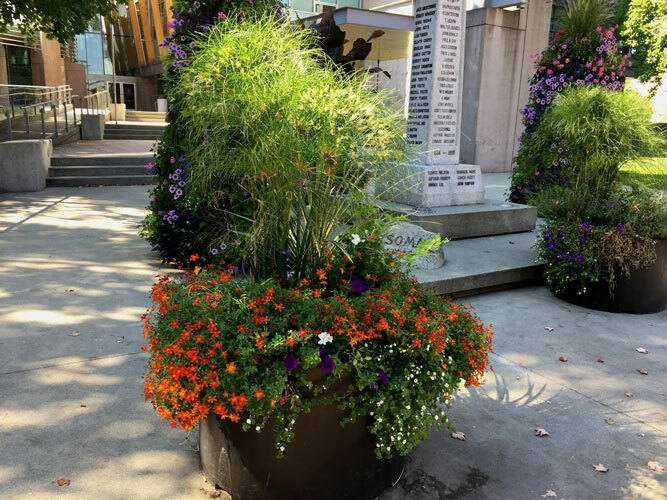 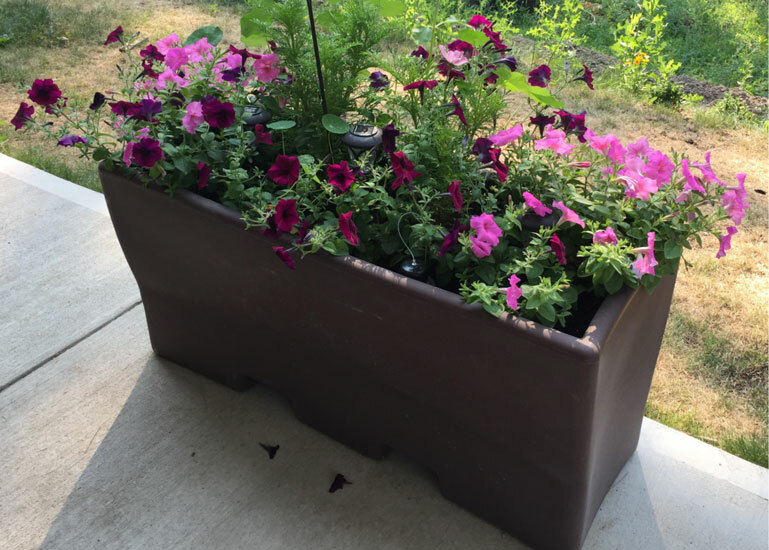 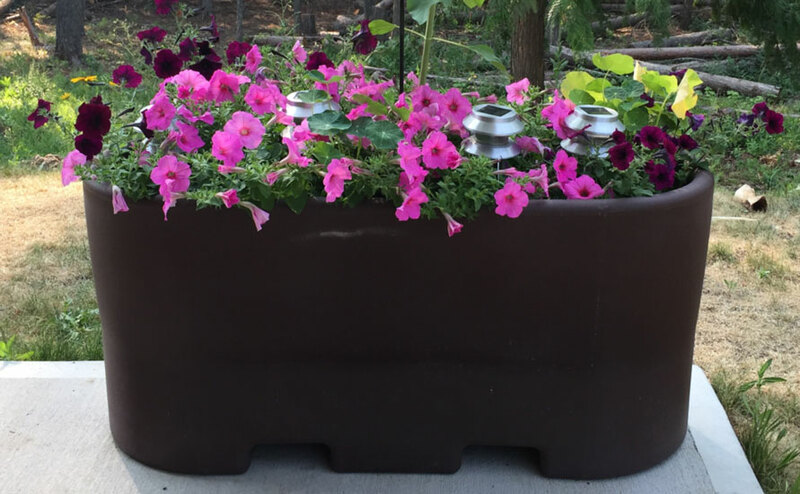 Plants need water and oxygen as well as the nutrients they find in the soil and water, with the Sybertech planter, the soil is never saturated so air is always available. 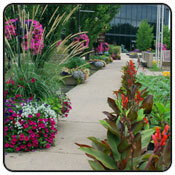 You can even use water soluble fertilizers tailored specifically to the plantings. 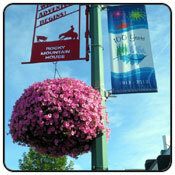 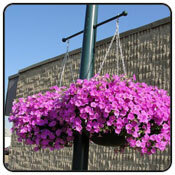 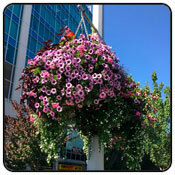 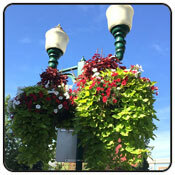 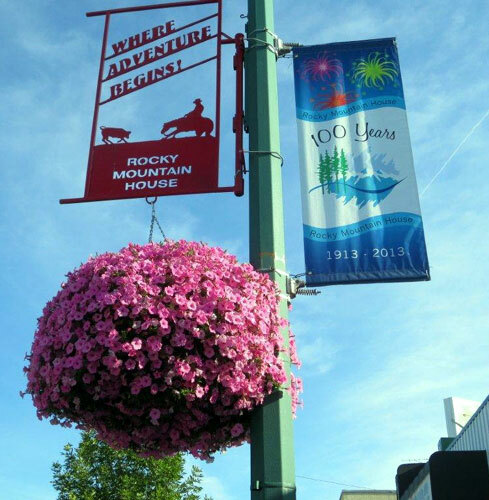 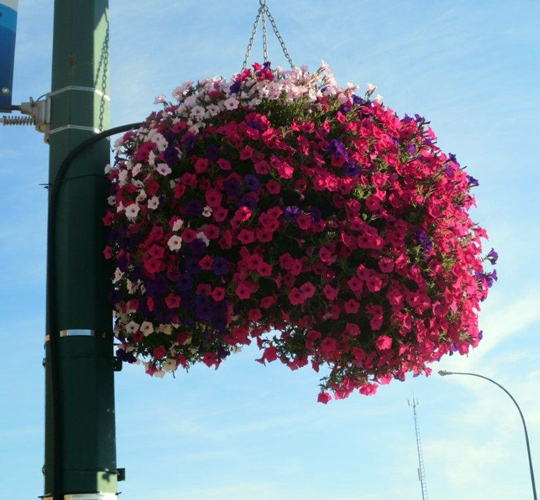 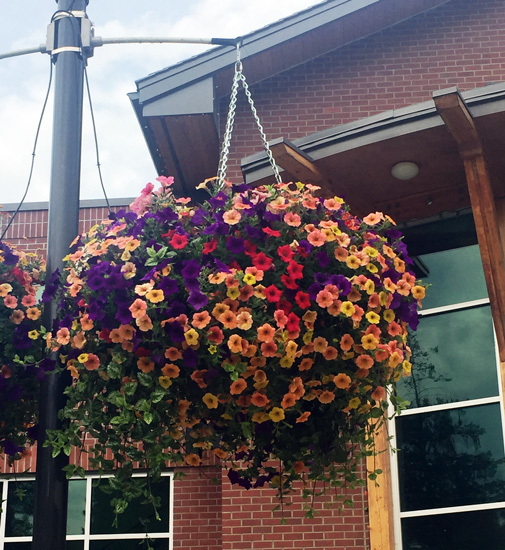 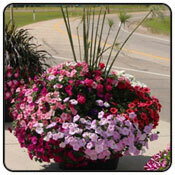 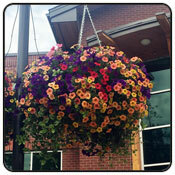 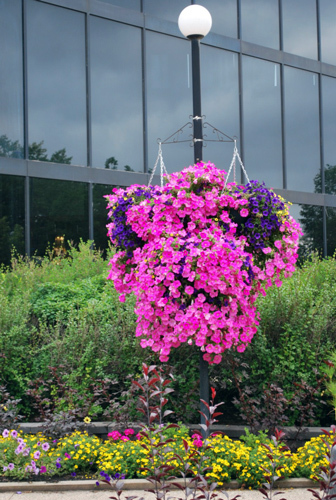 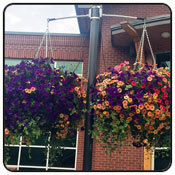 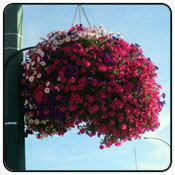 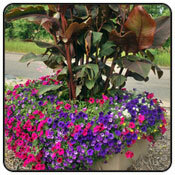 The results are stronger, larger plants with more vibrant color and more bloom. 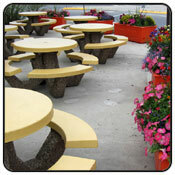 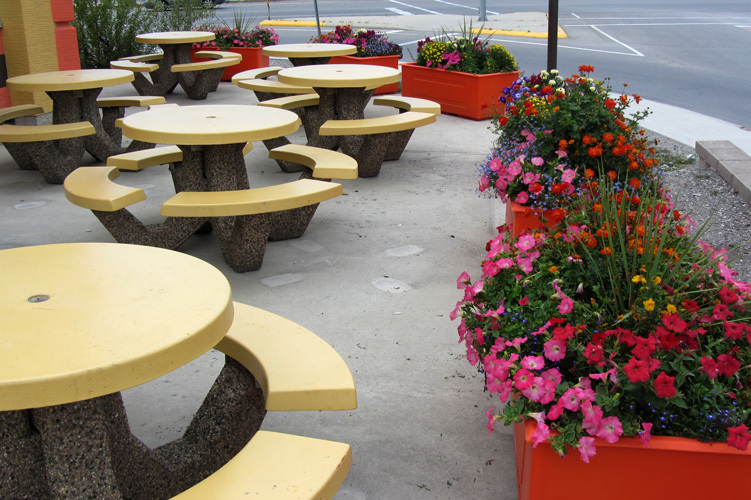 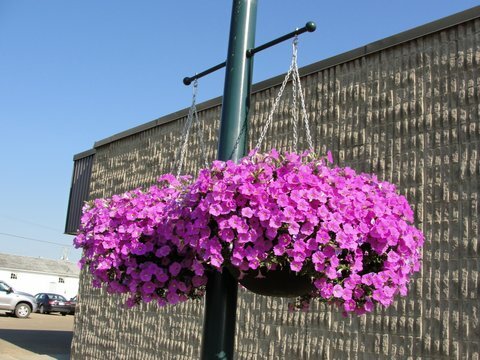 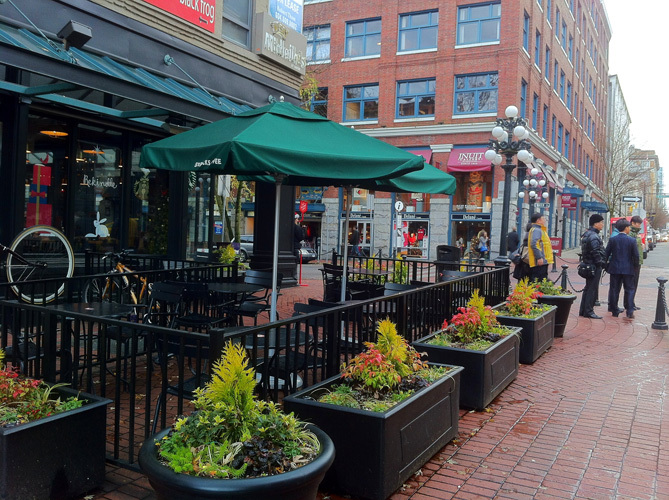 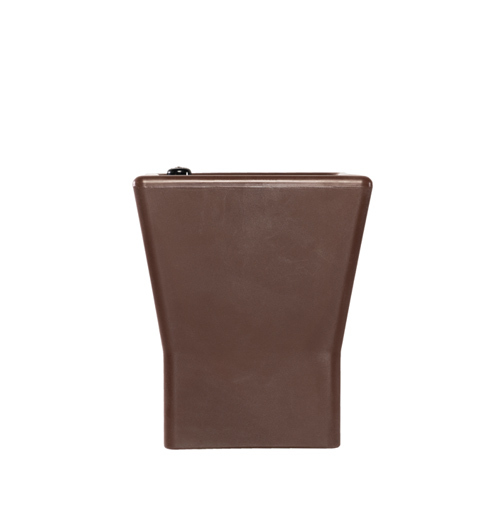 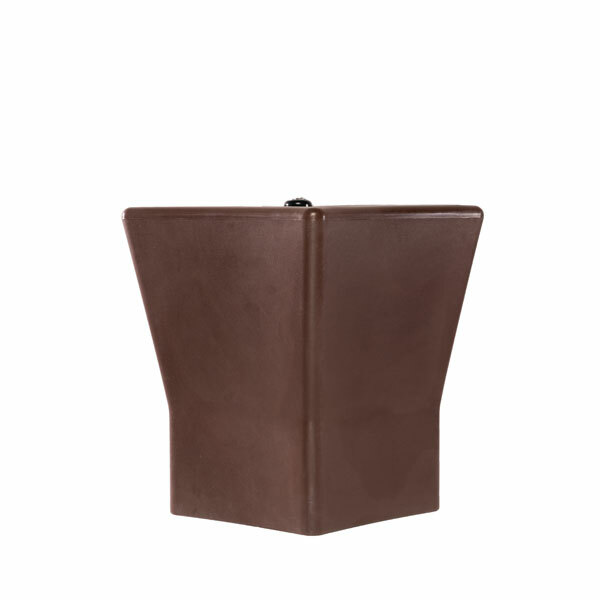 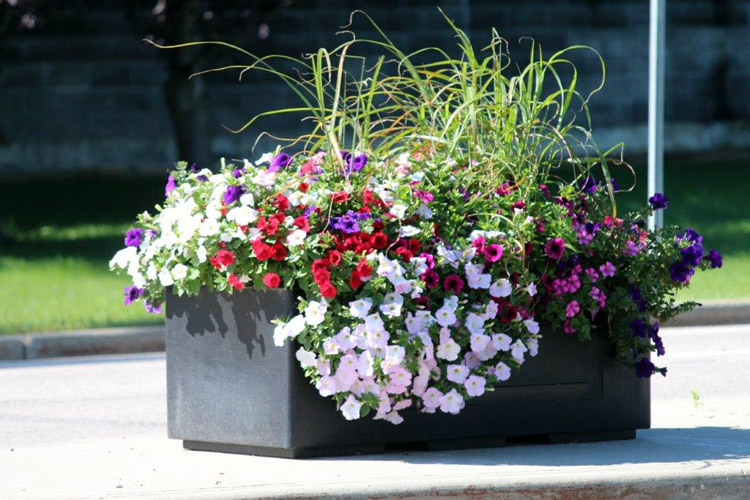 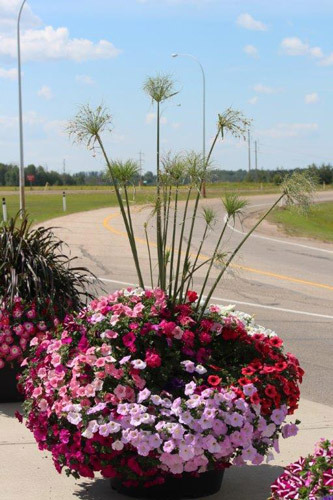 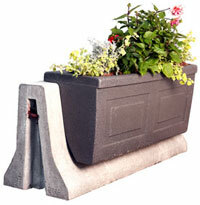 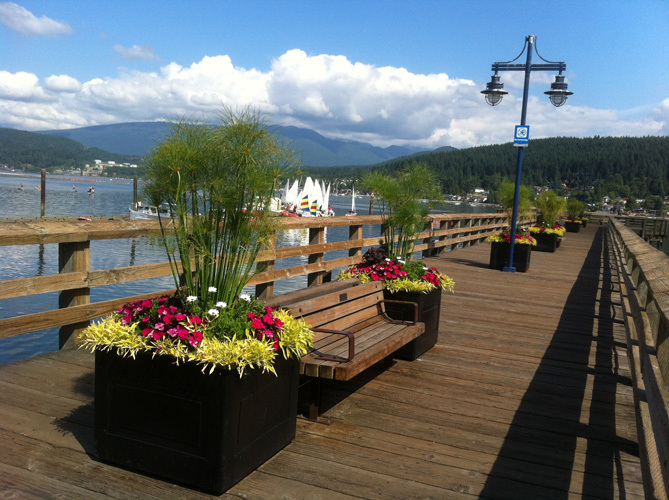 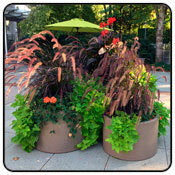 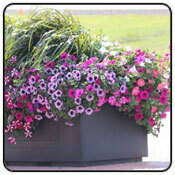 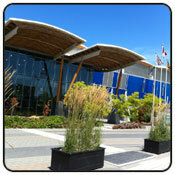 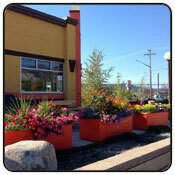 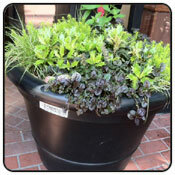 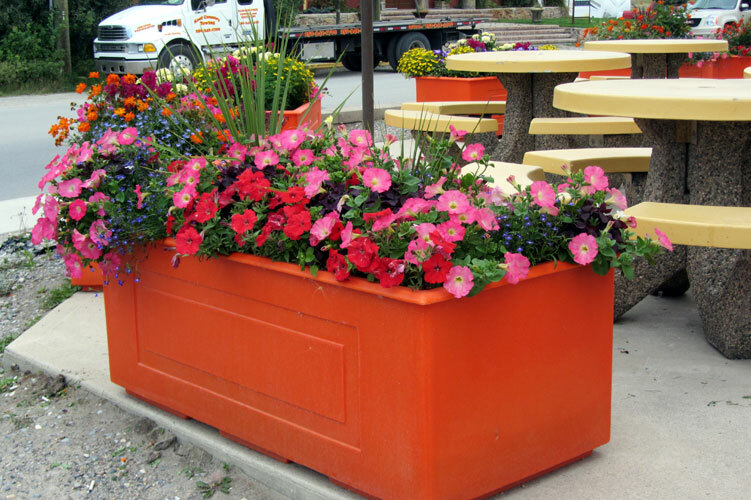 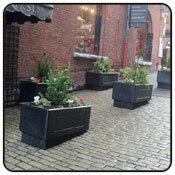 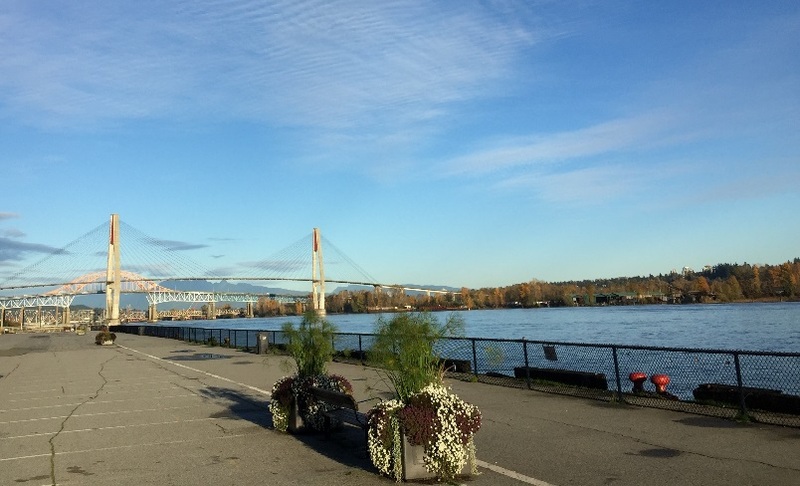 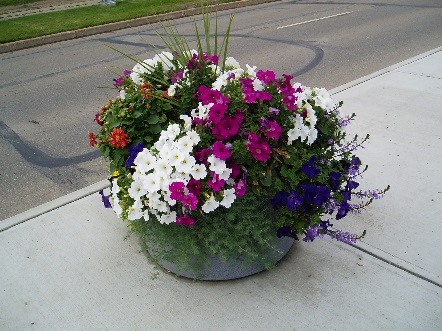 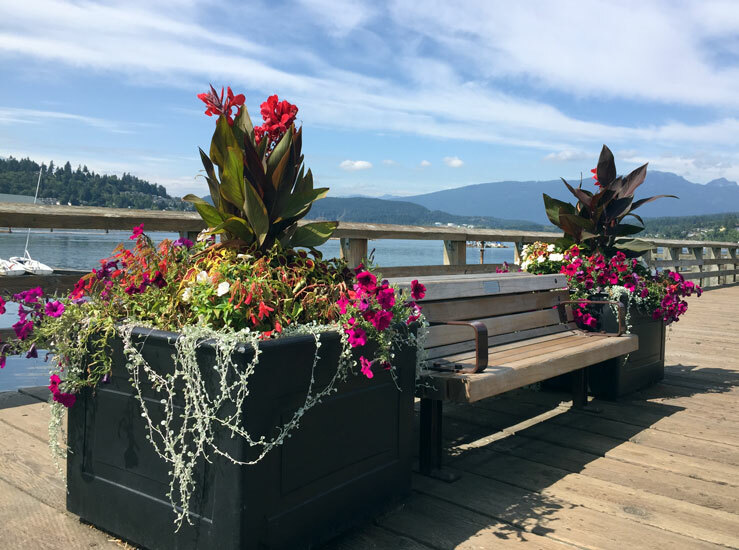 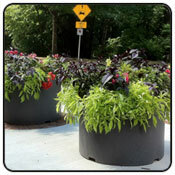 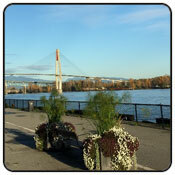 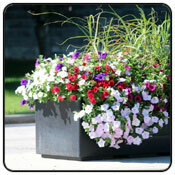 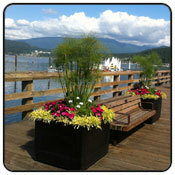 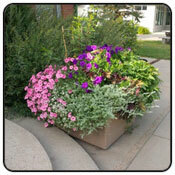 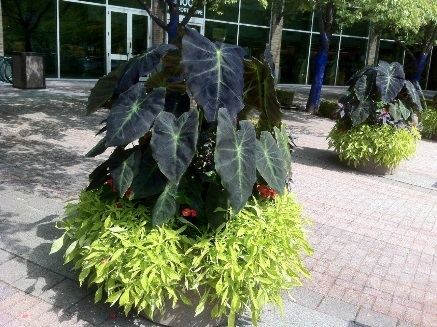 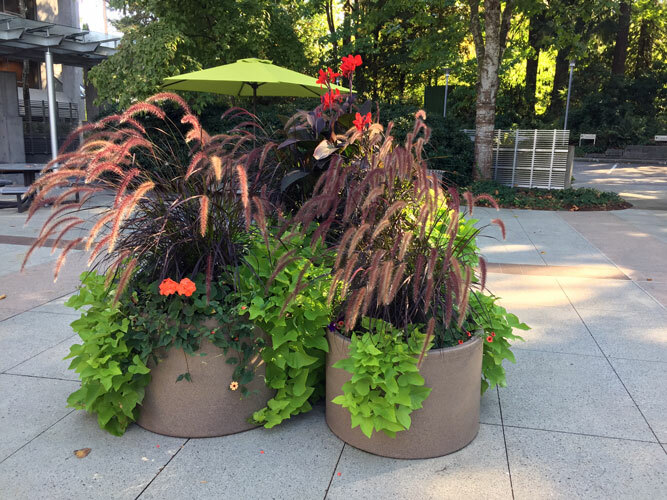 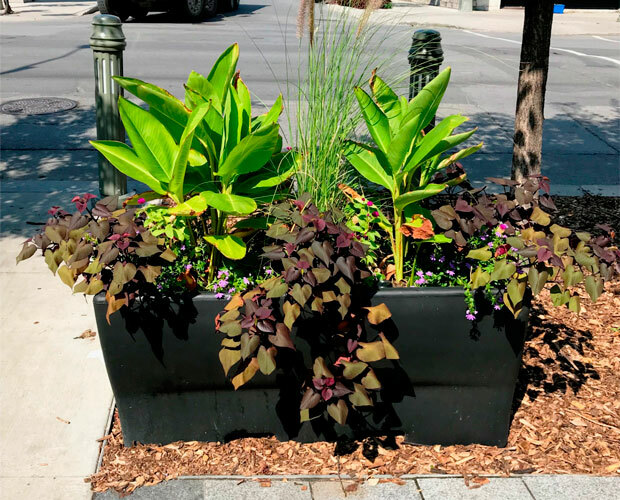 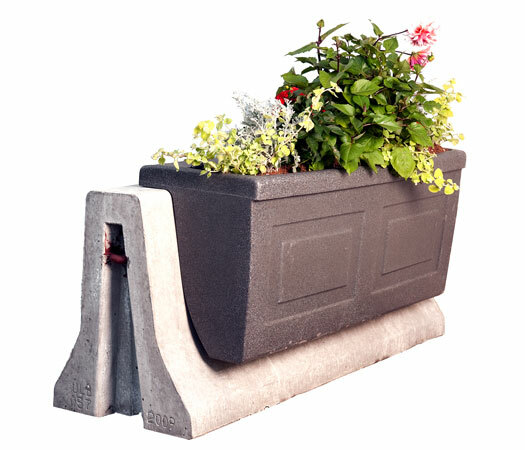 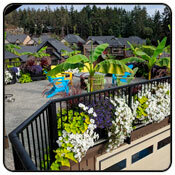 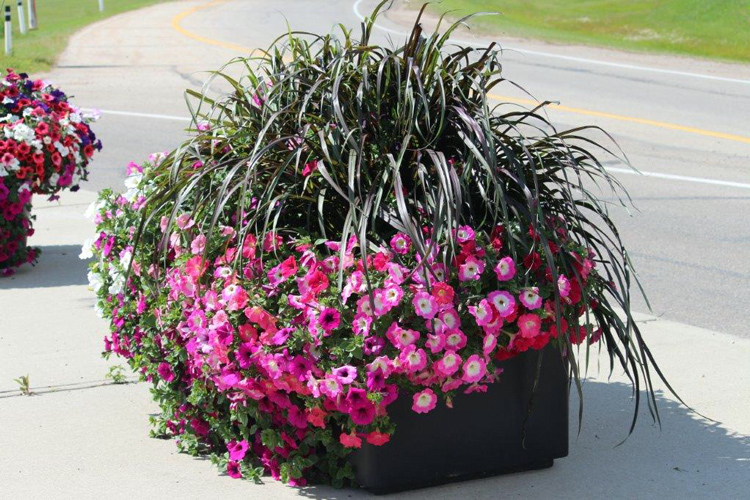 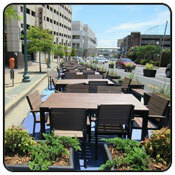 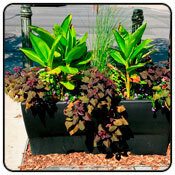 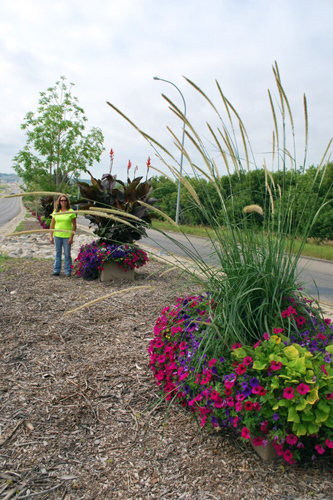 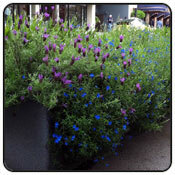 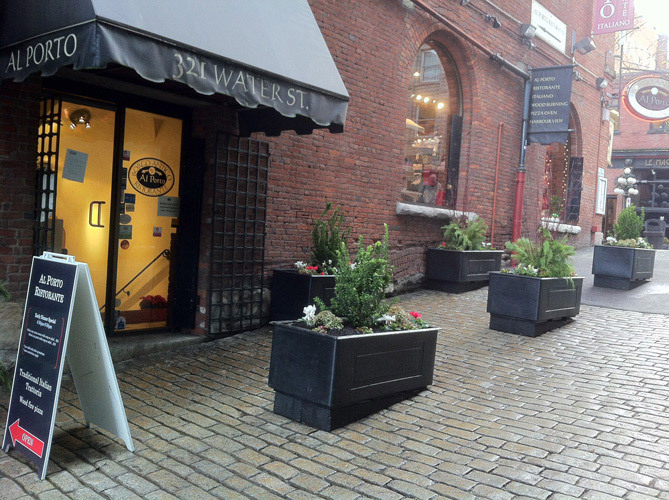 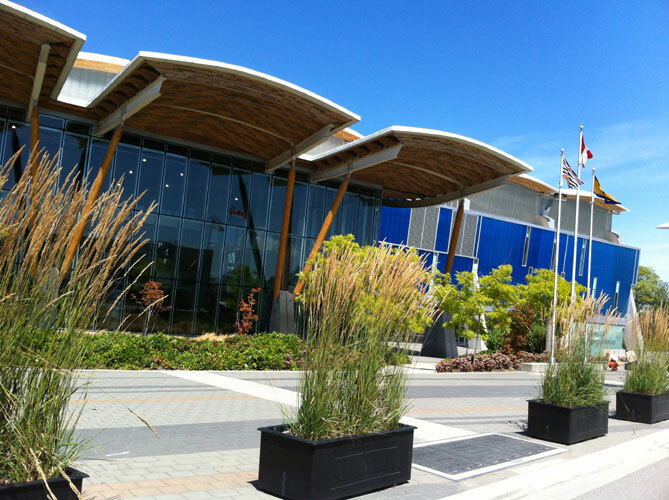 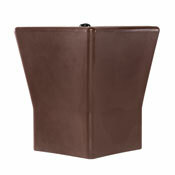 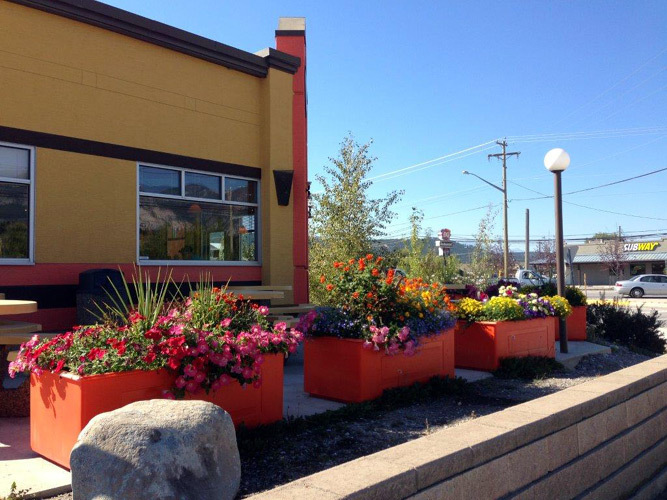 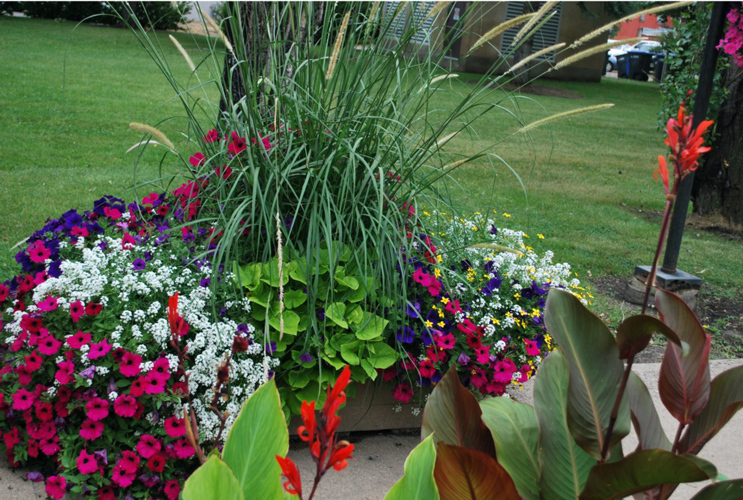 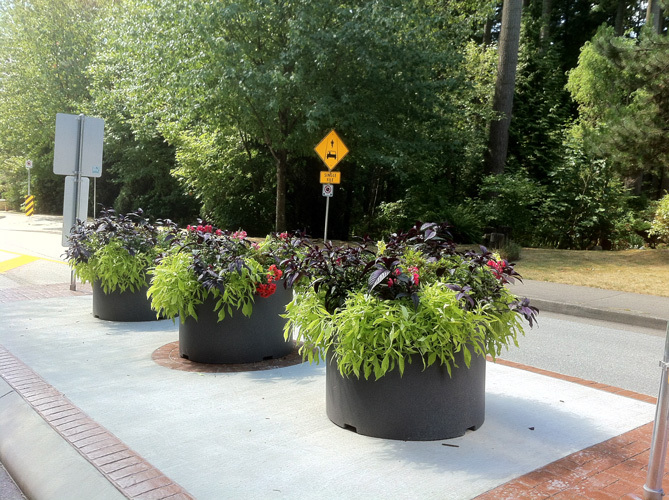 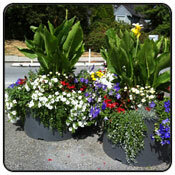 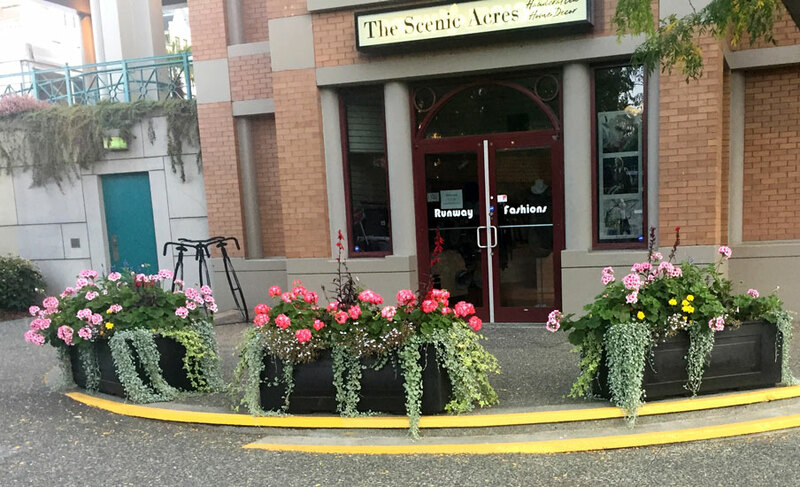 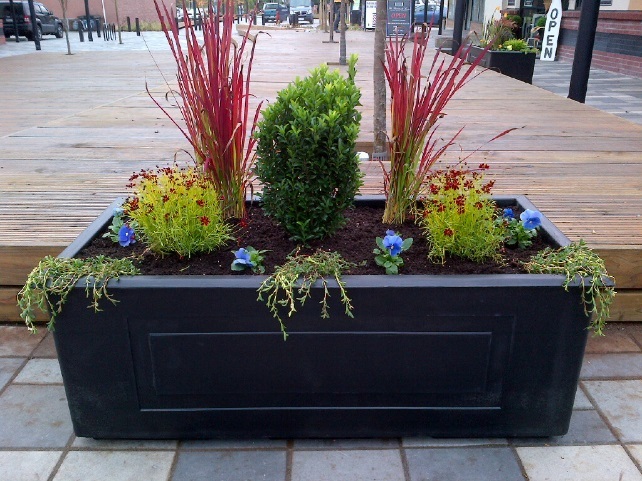 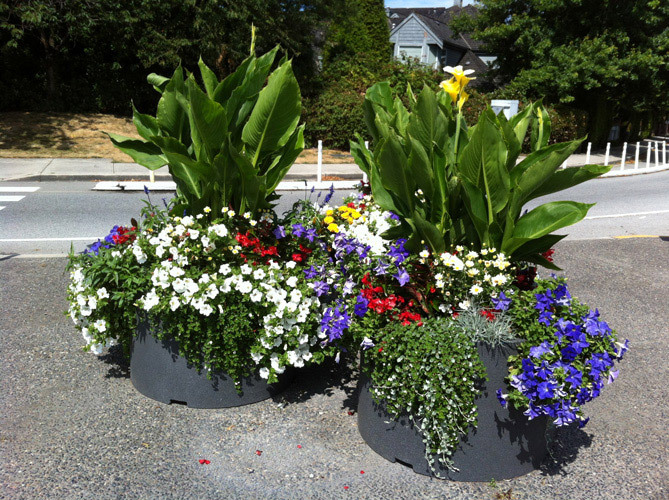 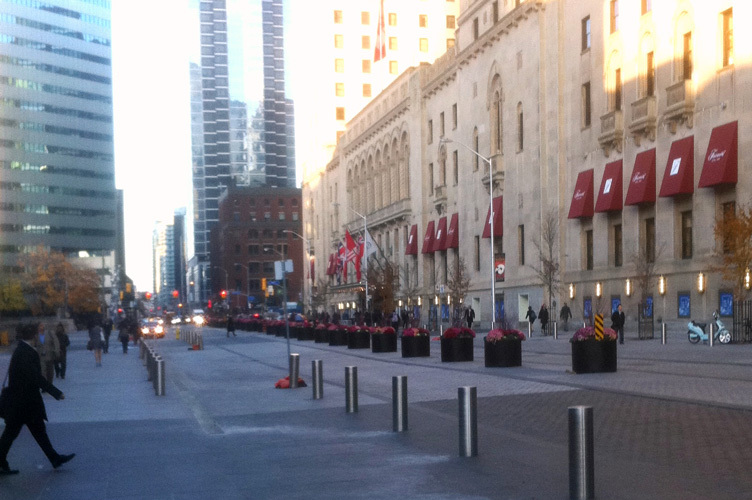 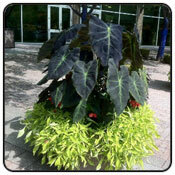 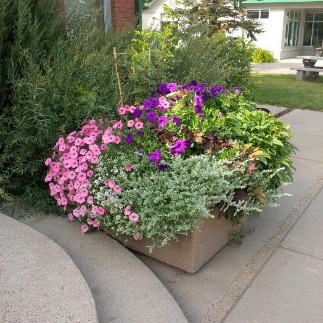 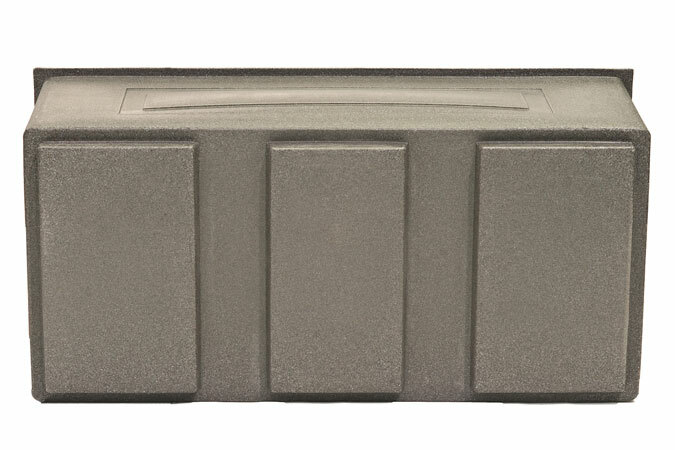 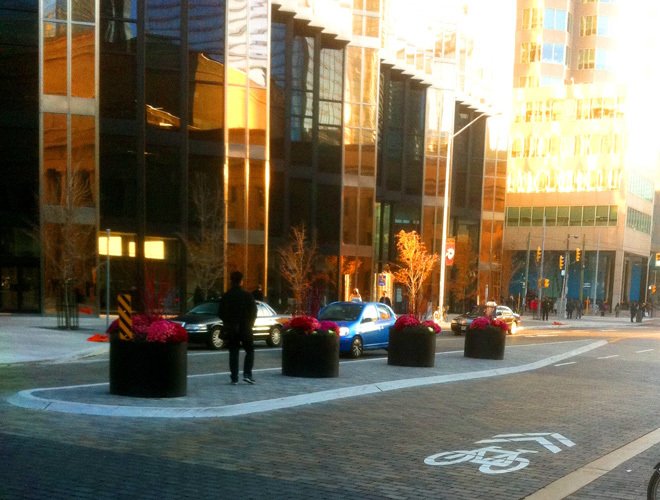 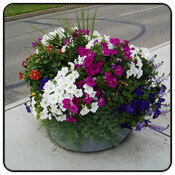 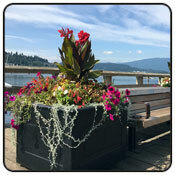 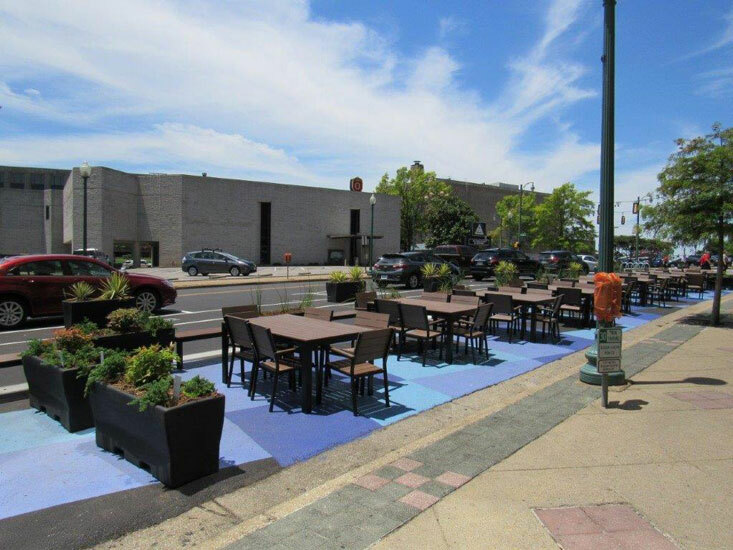 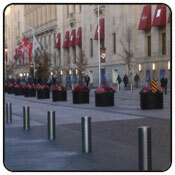 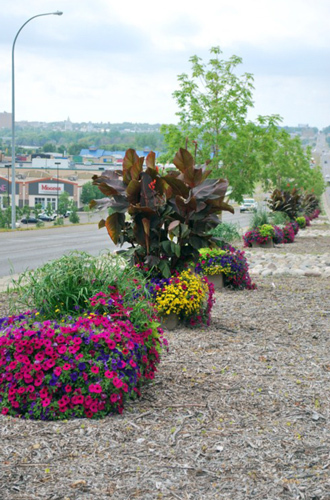 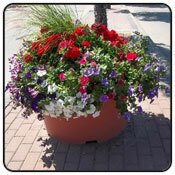 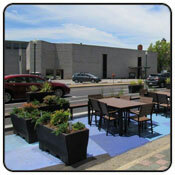 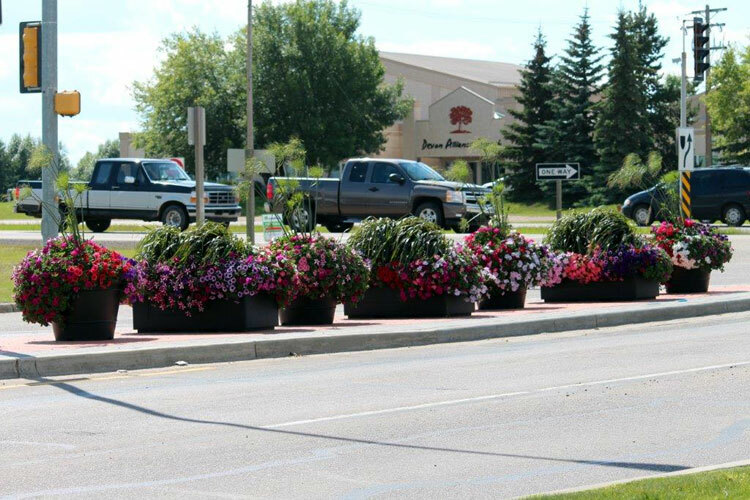 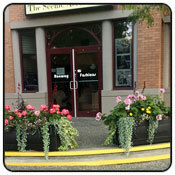 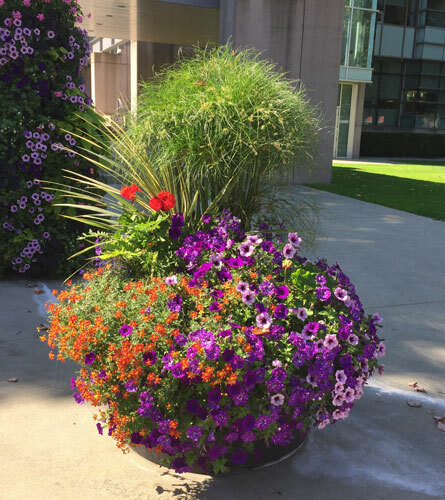 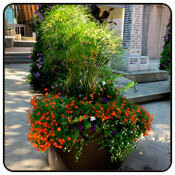 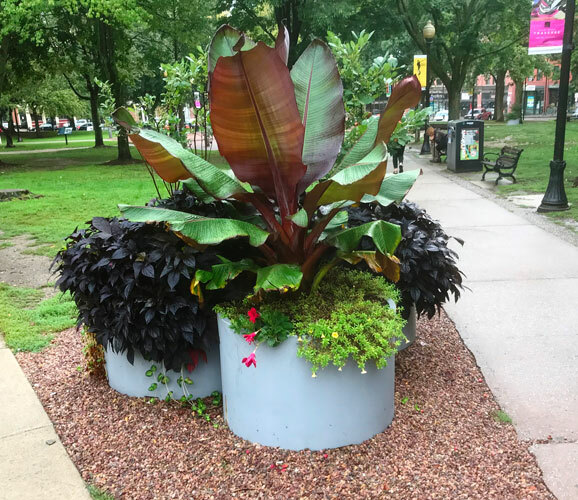 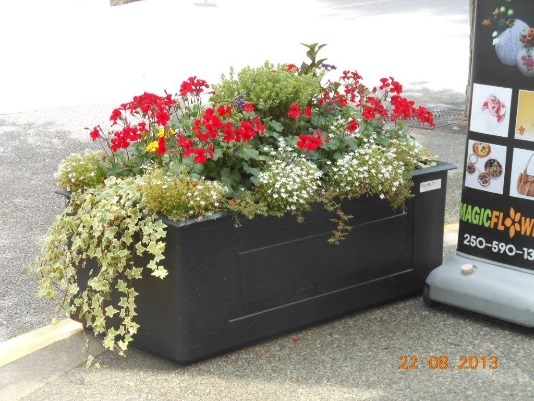 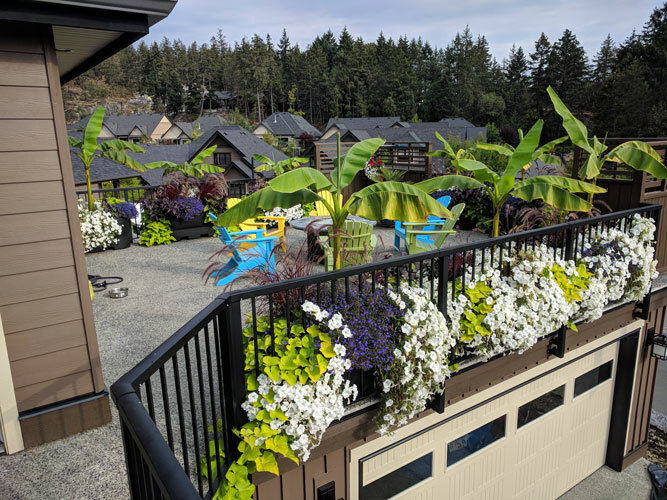 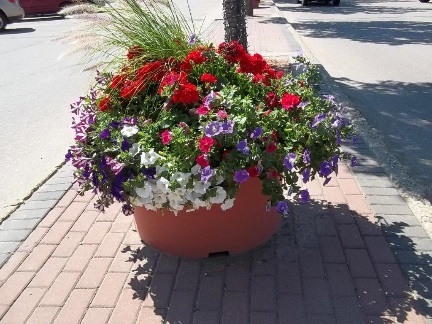 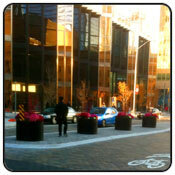 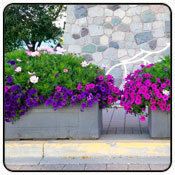 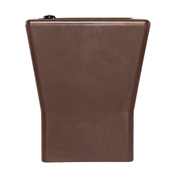 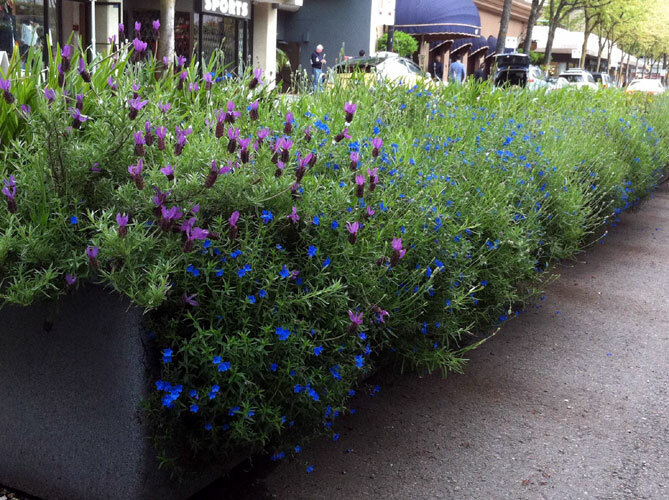 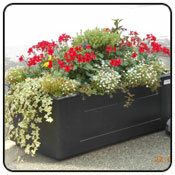 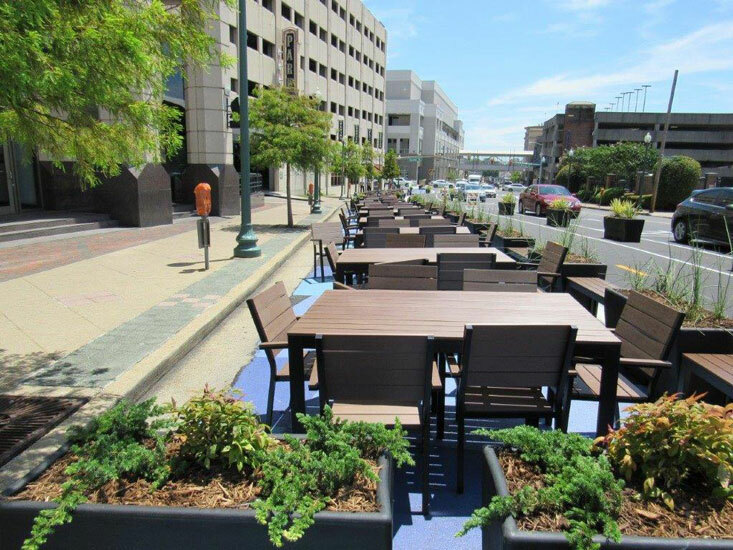 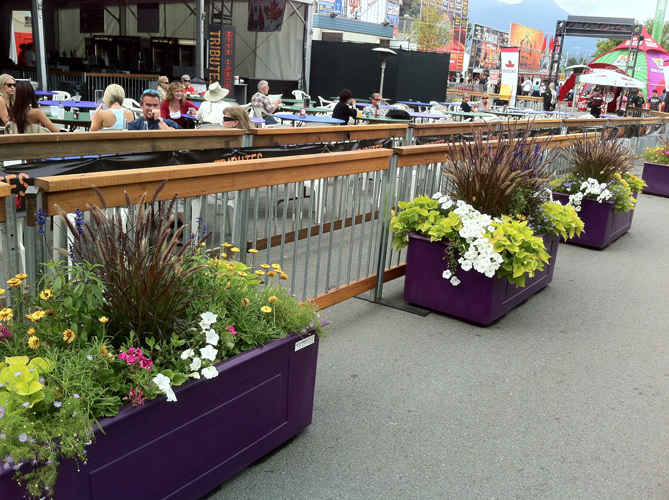 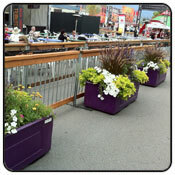 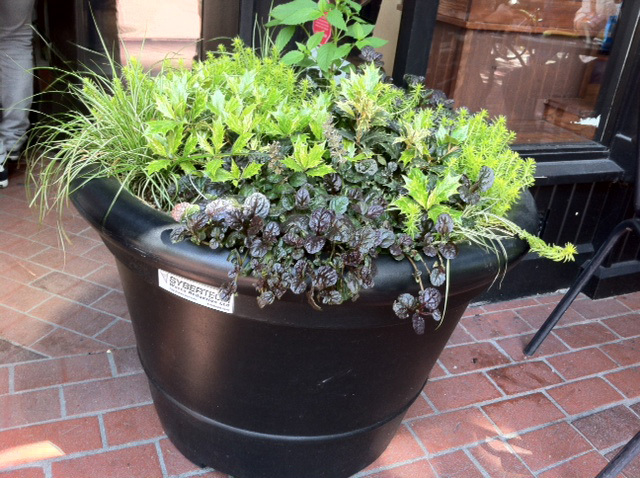 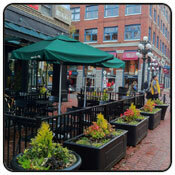 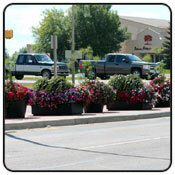 Sybertech Planters have the additional advantage that the surface area is generally dry. 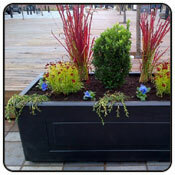 Therefore less weed germination is noticed and a cleaner presentation. 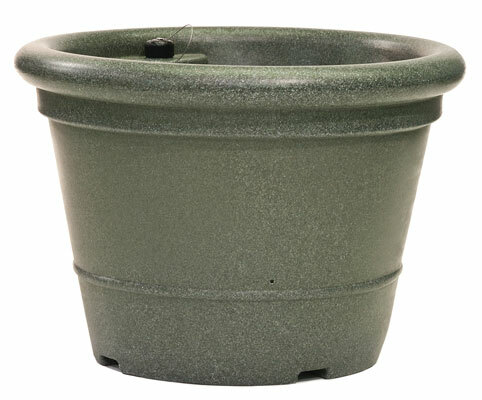 Deep rooting is encouraged because of the lower water table. 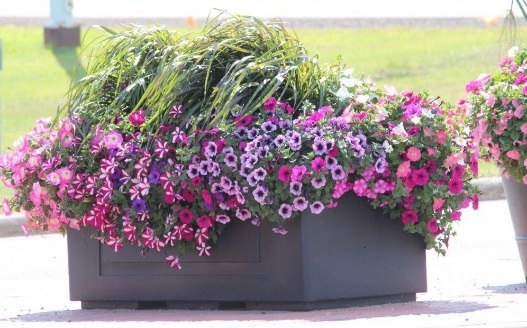 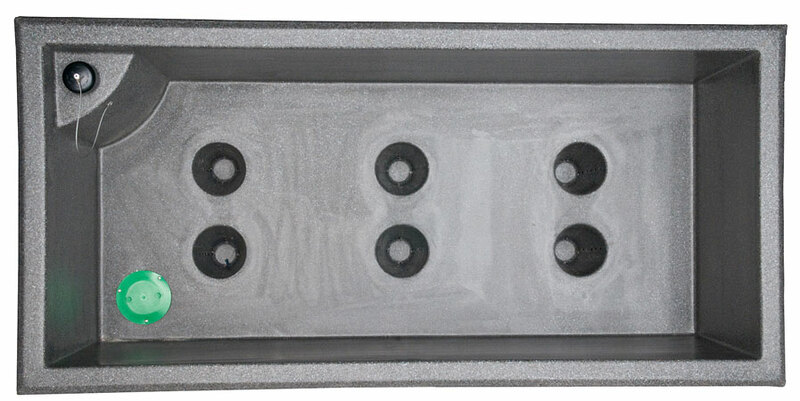 For superior cost savings and results, the Millennium series self-watering reservoir planters are the answer. 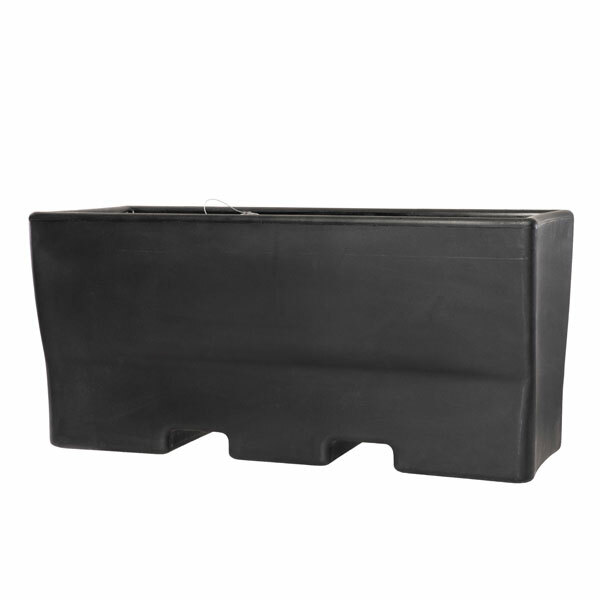 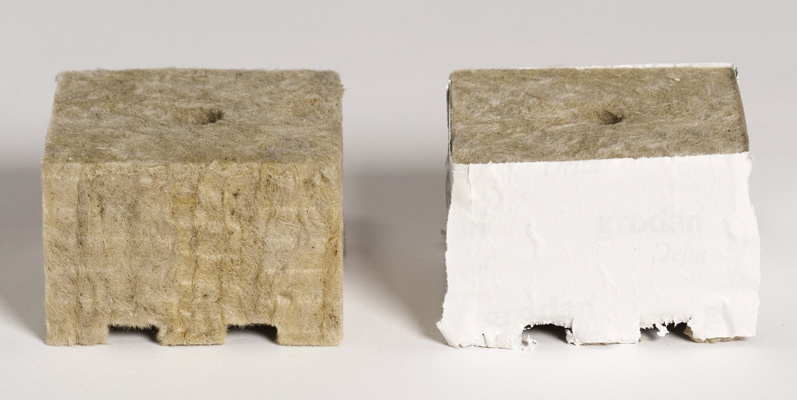 L: 20" W: 20" H: 23"
This is a highly absorbent material that allows the water to be gradually drawn up from the bottom of the water reservoir, through the Filter Columns and into the soil enveloping the roots of your plants. 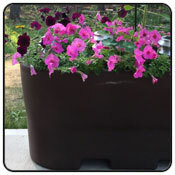 This process allows your plants to only take on moisture and nourishment only as required. 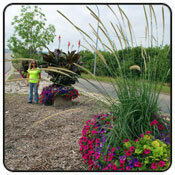 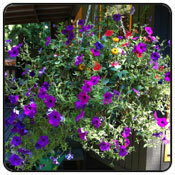 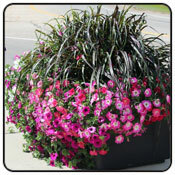 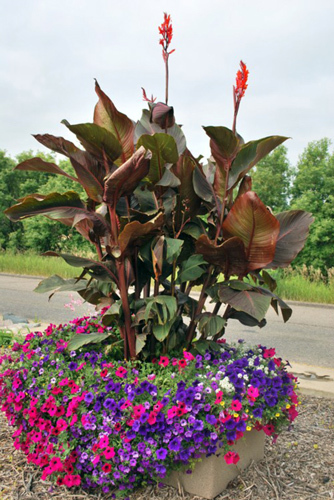 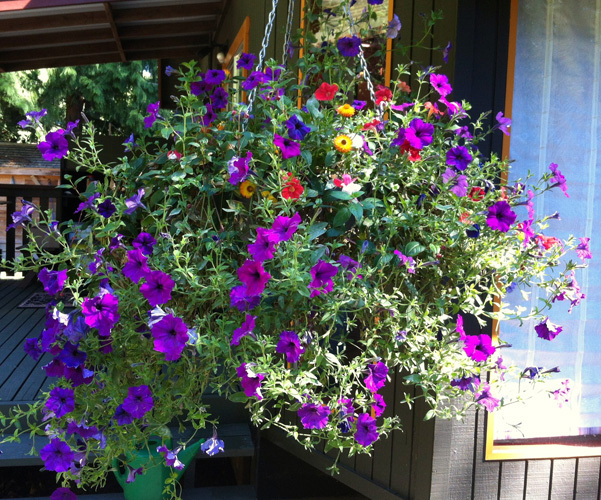 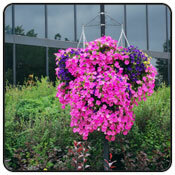 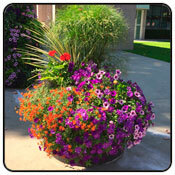 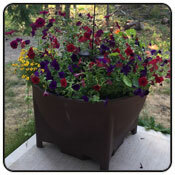 This promotes a vibrant and healthy show of color without stressing your plants. 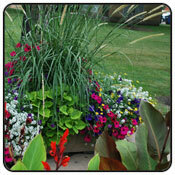 Soil composition will differ with climate and with your choice of shrubs and flowers. 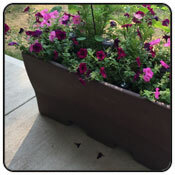 As a general rule of thumb avoid loosely packed soils such as a Store Bought Potting Mix and use a denser soil or Pro-Mix Potting Soil. 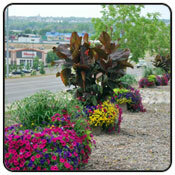 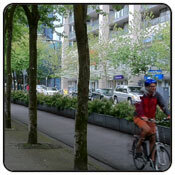 Use of composted material and mulch is commonly used. 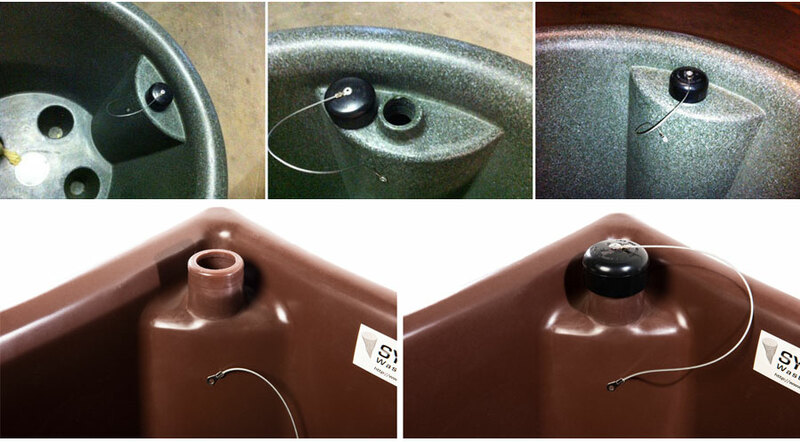 A mix that is too lightweight will not wick up the water from the reservoir effectively. 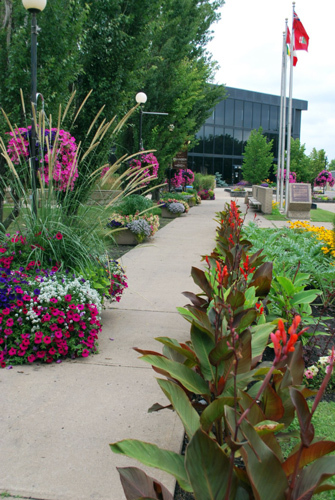 Sybertech recommends that planter customers consult a Horticulturist or other Soil Specialist in determining optimum soil composition.